When you fork a repo, Github makes your own copy of the project. 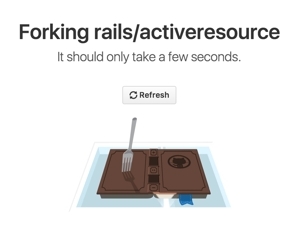 If you forked Rails in 2014, your fork is now 2 years outdated unless you synced it with the original repo (called upstream). In this post, I’ll show the efficient way to sync your fork with the upstream. When I clone my fork, I create two upstreams: for my fork and for the upstream (original repo). I put that script to ~/.bin/sync-upstream with ~/.bin added to my $PATH. Now I can call sync-upstream from any directory. 1) When my PR was merged and I’d like to get a fresh master that includes my changes 2) When I haven’t been working on the project for a while and I want to make sure that I don’t sent new PR based on the old codebase.